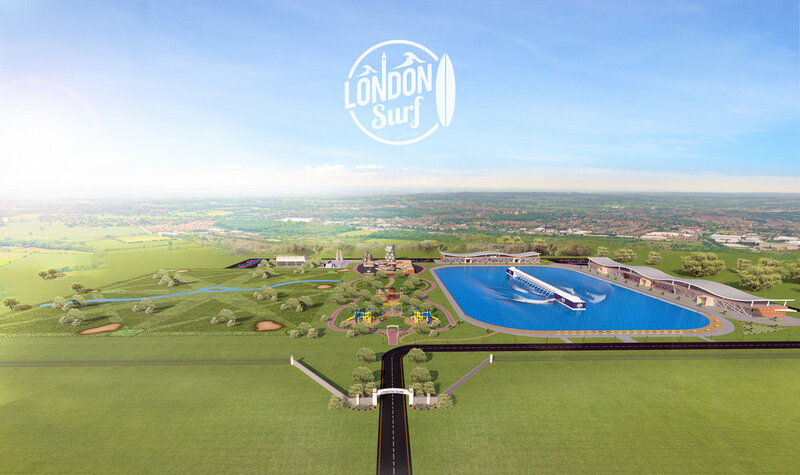 Roughly what London Surf might look like. London Surf is a paradise amongst the hustle and bustle of London. A place for those outdoor sports enthusiasts to come and have a blast carving waves while only a short train hop from central London. It has a custom built surf lake which generates perfect wave after perfect wave all day long, a FlowBarrel ®, a indoor climbing wall, a one of a kind climbing henge, a golf star practice area, adventure play park and gym. We have set out to create something very special for Londoners. While it would have been easier to create something on a smaller scale we didn’t want to create a compromised venue nothing but exceptional is our philosophy.